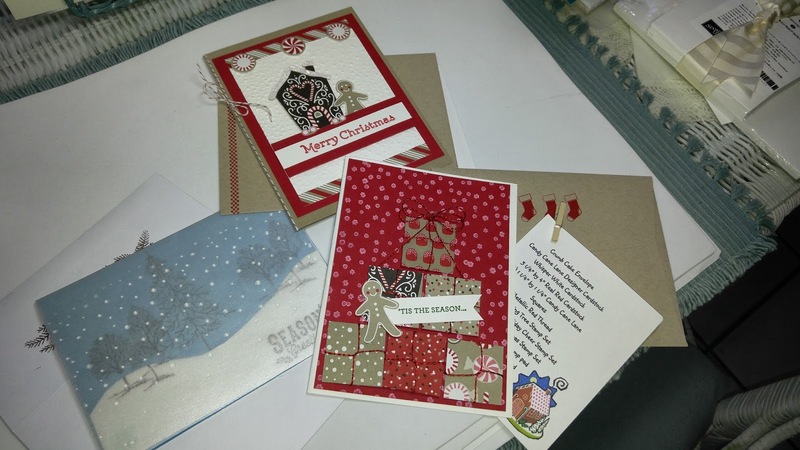 Art Gallery Cards: Stamp 6 Workshop, Bottle Christmas Tags, Designer Series Paper Tile Coasters and Beautiful Swaps! Stamp 6 Workshop, Bottle Christmas Tags, Designer Series Paper Tile Coasters and Beautiful Swaps! What a great week we've had with a Stamp 6 Christmas Cards Workshop and our regularly scheduled classes in Viera, Titusville and Cocoa Beach! 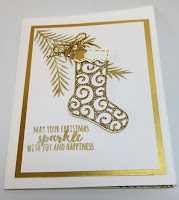 Thank you to all of my cheerful, helpful, fun and talented stampers. I love this hobby because brand new students can feel like pros by the end of their first class! 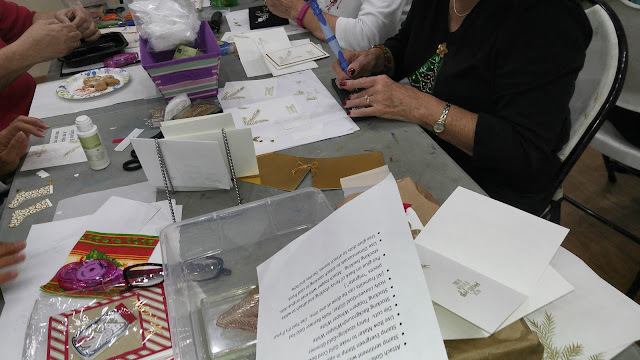 Below you see a few pictures from our Stamp 6 Christmas Cards Workshop. Out of the table chaos came some beautiful cards! Thank you to all of my sweet participants! Here are the gals at Table 3 making their magic! Here is table 2 hard at work. 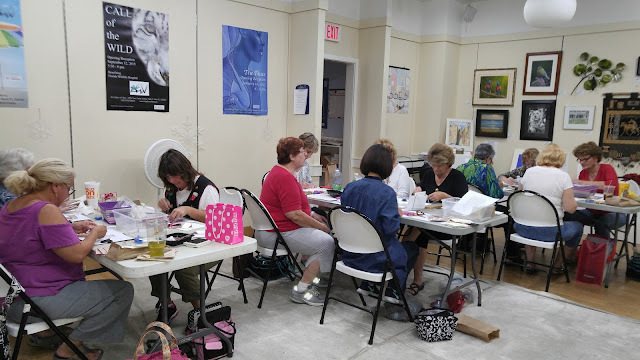 Here is our group in the classroom of the Art Gallery of Viera, a wonderful place to meet and stamp!! 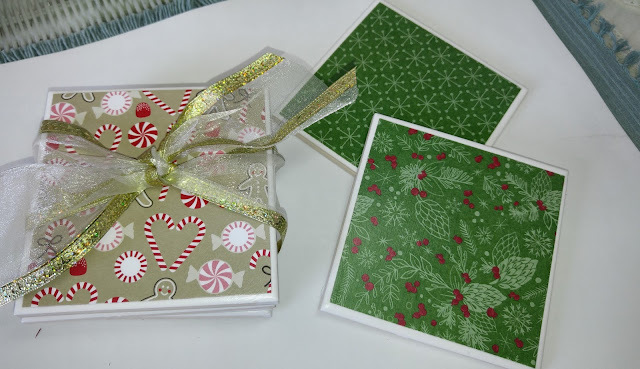 One of this week's projects was a set of tile coasters, covered in Candy Cane Lane and This Christmas Designer Series Papers. I love ModgePodge!! 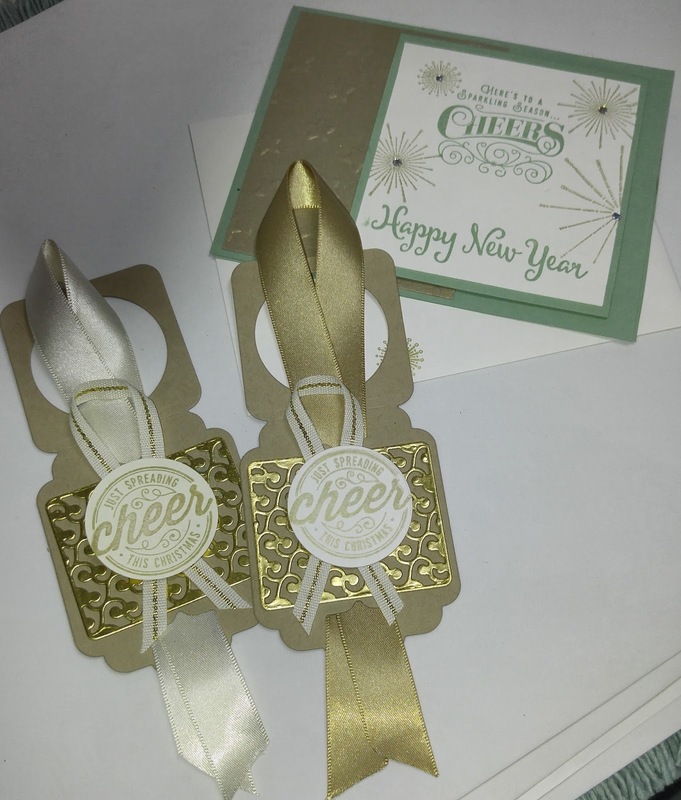 Here are the other 2 projects for our Cocoa Beach Stampers. We had a great time yesterday with lots of giggles and Christmas treats too! Her are beautiful swaps from the Cocoa Beach Library. Aren't they terrific? Thank you, Parker, Colette and Aubrey! I love all of your pretty details and "extras". Gojus!!! Our Titusville Swappers made these beautiful cards. I think they were all on the same wavelength!! Thank you, Susan, Brenda and Patricia! So pretty!! 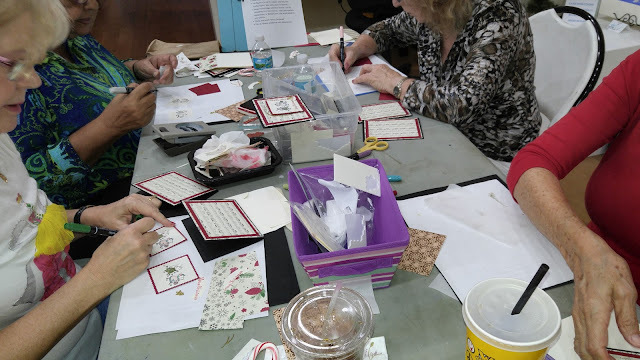 Time to get back to the stamp room and plan for our next fun classes next week! Have a wonderful week and make time to use your creativity!